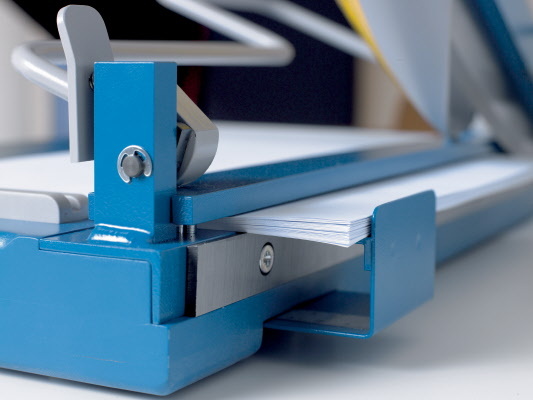 With our select line of professional or premium rotary and guillotine photo print trimmers and cutters - you can quickly and accurately trim photographs, prints, paper and other printed matter! 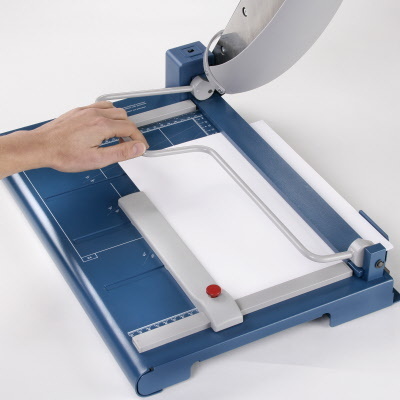 On this page you will find both rotary / rolling and guillotine trimmers and cutters - specifically selected by our customers for print photography. Heavy duty, self sharpening blades and long lasting - you may never buy another one again! These professional and premium models are designed for precision (accuracy), durability and the most common features used by photographers. They make the perfect accessory for print finishing in the digital darkroom age! 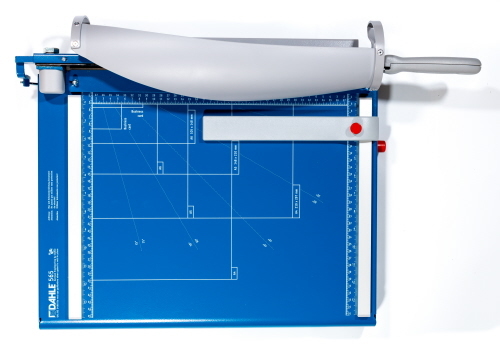 Rotary photo cutting models are designed for small batch trimming and cutting needs. Generally they accept smaller stacks. 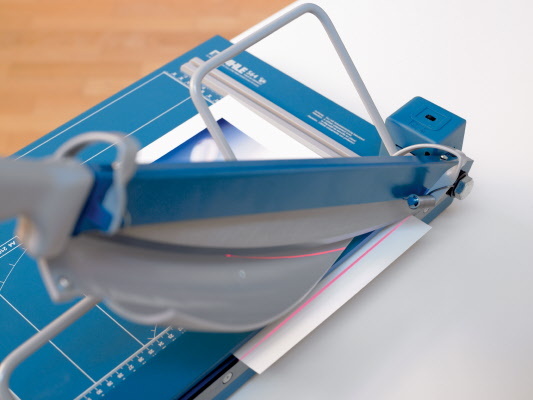 But, for photography - you'll want to use one of these models to trim, cut, or shave away boarder material for better accuracy and performance. Absolute and Professional quality is why you would use this format of trimmer for photography trimming and cutting. It allows for fixed accuracy, smaller and accurate trims or shaving off of excess bleed area. It also allows for "better viewing" of the printed area through see through paper clamps designed for visual measure and guides. 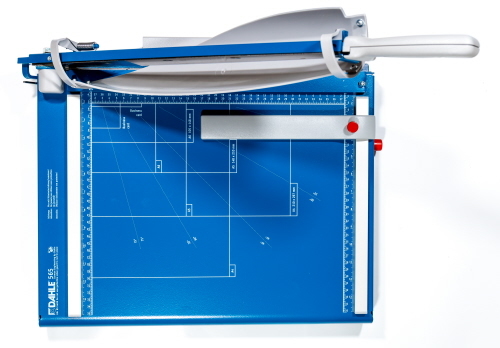 Guillotine photo cutting equipment is better suited to larger stack cutting tasks. These equipment models are generally used for larger stacks, where accuracy from printed depth to boarder is not as important. 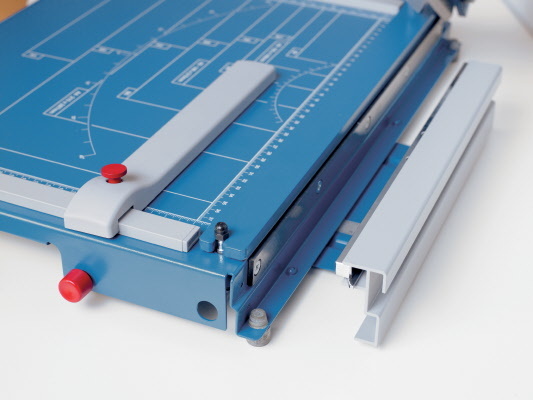 These models can still be used for accurate cuts or trims where lower stack or single sheets are visually maneuvered into place before cutting, instead of just placing against backstops for quicker stack cuts..